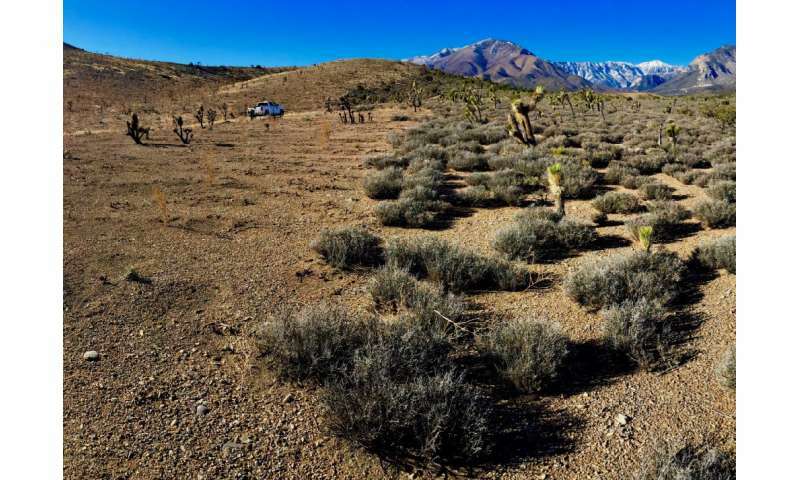 In semi-arid ecosystems such as the Humboldt-Toiyabe National Forest near Las Vegas, which burned as part of the Carpenter 1 fire during July and August 2013, fuel is limited and fires tend to be short lived and low in peak temperature. New research shows that these fires are more harmful to soils than they initially appear. This photo was taken on Jan. 6, 2015 -- approximately 18 months after the wildfire. Credit: Teamrat Ghezzehei, UCM. Low-severity wildland fires and prescribed burns have long been presumed by scientists and resource managers to be harmless to soils, but this may not be the case, new research shows. According to two new studies by a team from the University of California, Merced (UCM) and the Desert Research Institute (DRI), low-severity burns—in which fire moves quickly and soil temperature does not exceed 250oC (482oF) - cause damage to soil structure and organic matter in ways that are not immediately apparent after a fire. "When you have a high-severity fire, you burn off the organic matter from the soil and the impact is immediate," said Teamrat Ghezzehei, Ph.D., principal investigator of the two studies and Associate Professor of Environmental Soil Physics at UCM. "In a low-severity fire, the organic matter doesn't burn off, and there is no visible destruction right away. But the burning weakens the soil structure, and unless you come back at a later time and carefully look at the soil, you wouldn't notice the damage." DRI researcher Markus Berli, Ph.D., Associate Research Professor of Environmental Science, became interested in studying this phenomenon while visiting a burned area near Ely, Nev. in 2009, where he made the unexpected observation that a prescribed, low-severity fire had resulted in soil structure damage in the burned area. He and several colleagues from DRI conducted a follow-up study on another controlled burn in the area, and found that soil structure that appeared to be fine immediately after a fire but deteriorated over the weeks and months that followed. Berli then teamed up with Ghezzehei and a team from UCM that included graduate student Mathew Jian, and Associate Professor Asmeret Asefaw Berhe, Ph.D., to further investigate. 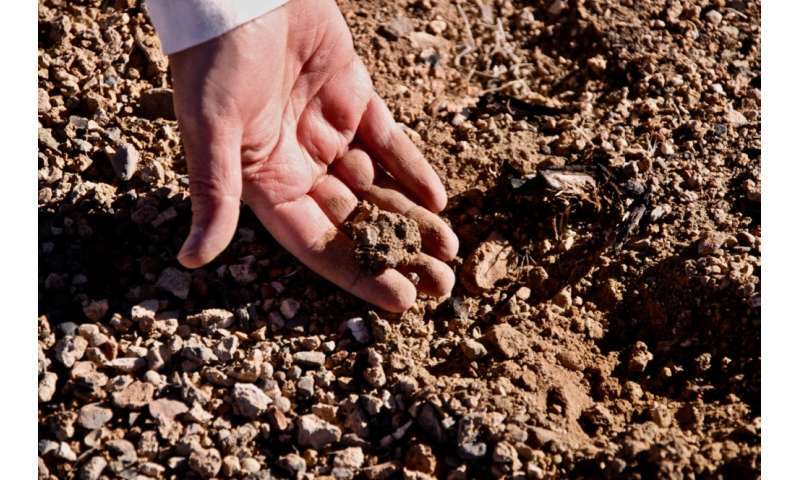 Soil consists of large and small mineral particles (gravel, sand, silt, and clay) which are bound together by organic matter, water and other materials to form aggregates. When soil aggregates are exposed to severe fires, the organic matter burns, altering the physical structure of the soil and increasing the risk of erosion in burned areas. 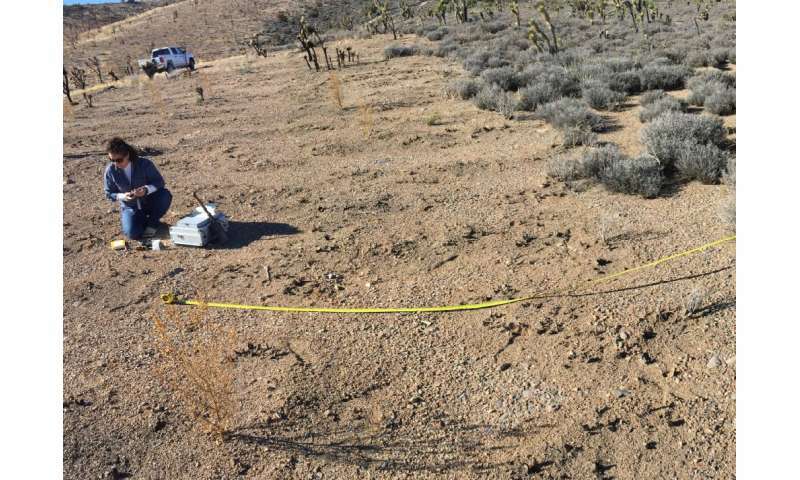 In low-severity burn areas where organic matter doesn't experience significant losses, the team wondered if the soil structure was being degraded by another process, such as by the boiling of water held within soil aggregates? In a study published in AGU Geophysical Research Letters in May 2018, the UCM-DRI team investigated this question, using soil samples from an unburned forest area in Mariposa County, Calif. and from unburned shrubland in Clark County, Nev. to analyze the impacts of low-severity fires on soil structure. They heated soil aggregates to temperatures that simulated the conditions of a low-severity fire (175oC/347oF) over a 15-minute period, then looked for changes in the soil's internal pore pressure and tensile strength (the force required to pull the aggregate apart). During the experiment, they observed that pore pressure within the soil aggregates rose to a peak as water boiled and vaporized, then dropped as the bonds in the soil aggregates broke and vapor escaped. Tensile strength measurements showed that the wetter soil aggregates had been weakened more than drier soil samples during this process. "Our results show that the heat produced by low-severity fires is actually enough to do damage to soil structure, and that the damage is worse if the soils are wet," Berli explained. "This is important information for resource managers because it implies that prescribed burns and other fires that occur during wetter times of year may be more harmful to soils than fires that occur during dry times. "Next, the research team wondered what the impact of this structural degradation was on the organic matter that the soil structure normally protects. Soil organic matter consists primarily of microbes and decomposing plant tissue, and contributes to the overall stability and water-holding capacity of soils. Researcher Rose Shillito from DRI collects soil samples in a burned area in the Humboldt-Toiyabe National Forest near Las Vegas on Jan. 6, 2015, approximately 18 months after the area burned in the Carpenter 1 fire of 2013. Credit: Teamrat Ghezzehei, UCM. In a second study that was published in Frontiers in Environmental Science in late July, the UCM-DRI research team conducted simulated burn experiments to weaken the structure of the soil aggregates, and tested the soils for changes in quality and quantity of several types of organic matter over a 70-day period. They found that heating of soils led to the release of organic carbon into the atmosphere as CO2 during the weeks and months after the fire, and again found that the highest levels of degradation occurred in soils that were moist. This loss of organic carbon is important for several reasons, Ghezzehei explained. "The loss of organic matter from soil to the atmosphere directly contributes to climate change, because that carbon is released as CO2," Ghezzehei said. "Organic matter that is lost due to fires is also the most important reserve of nutrients for soil micro-organisms, and it is the glue that holds soil aggregates together. Once you lose the structure, there are a lot of other things that happen. For example, infiltration becomes slower, you get more runoff, you have erosion." Although the research team's findings showed several detrimental effects of fire on soils, low-severity wildfires and prescribed burns are known to benefit ecosystems in other ways—recycling nutrients back into the soil and getting rid of overgrown vegetation, for example. It is not yet clear whether the negative impacts on soil associated with these low-severity fires outweigh the positives, Berli says, but the team hopes that their research results will help to inform land managers as they manage wildfires and plan prescribed burns. "There is very little fuel in arid and semi-arid areas, and thus fires tend to be short lived and relatively low in peak temperature," Ghezzehei said. "In contrast to the hot fires and that burn for days and weeks that we see in the news, these seem to be benign and we usually treat them as such. Our work shows that low-severity fires are not as harmless as they may appear."